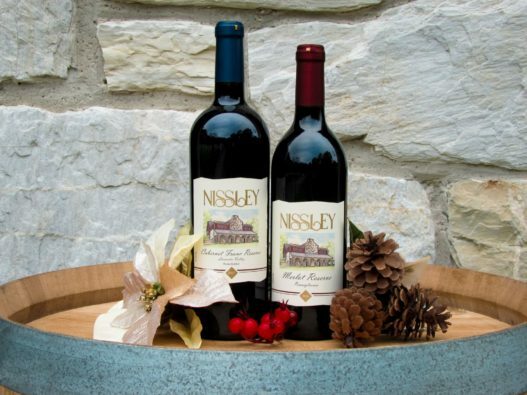 For many years, Nissley Vineyards has been primarily known for its sweet wines. With the launch of the Reserve collection, we aim to change that. The new wines from the Reserve collection are crafted with only the finest vinifera grapes grown right here in Pennsylvania. The Cabernet Franc Reserve is estate bottled meaning that all the grapes were grown on our property and the wine was produced in our facility. The Merlot Reserve is comprised of grapes grown in Lancaster County and the Lake Erie region. 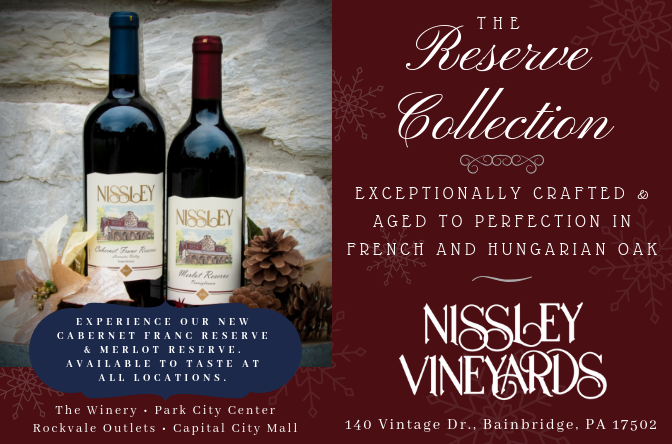 Both wines were aged in neutral French and Hungarian oak barrels for over seven months. The result of using seasoned oak is that while the wines have the pleasant and round oak character you would expect from a premium red wine, this oak character compliments the fruit character rather than overpowering it. The wines are exceptionally balanced and are excellent expressions of our terroir (what the soil and climate impart to the wine). You will find earthy and fruity characters in the Cabernet Franc Reserve with a medium-soft tannin structure. The Merlot Reserve is darker in color and has firmer tannins as well as predominant dark fruit characters. Reading about these wines is one thing, but tasting them is another! 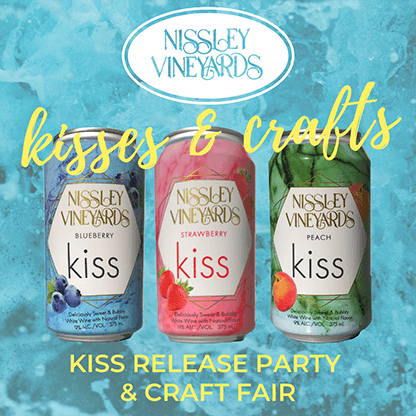 We encourage both newcomers and long-time customers alike to try these new wines and experience the first in what will be a long line of premium, barrel-aged wines produced by Nissley Vineyards. We hope you enjoy the fruits of our labor—the first installments of the Reserve collection!